New DW®® STAR-LIGHT MPA™ Megapixel Analog Camera provide groundbreaking technology to deliver the highest analog resolution available on the market. 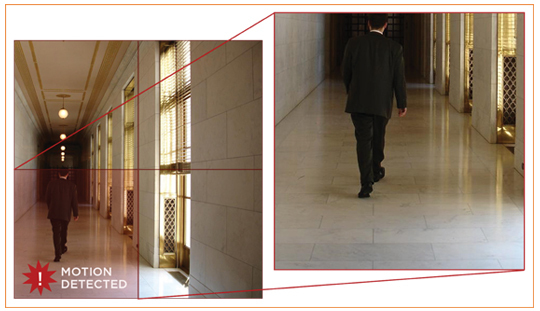 STAR-LIGHT MPA™ cameras have 1.3MP CMOS sensors capable of capturing up to 720P resolution. They receive and process images in high resolution at 960H, display 800TV Lines in color and 820TV Lines in monochrome, then allow the user to QuickZoom™ into the field of view to reveal the megapixel resolution with no loss of detail. 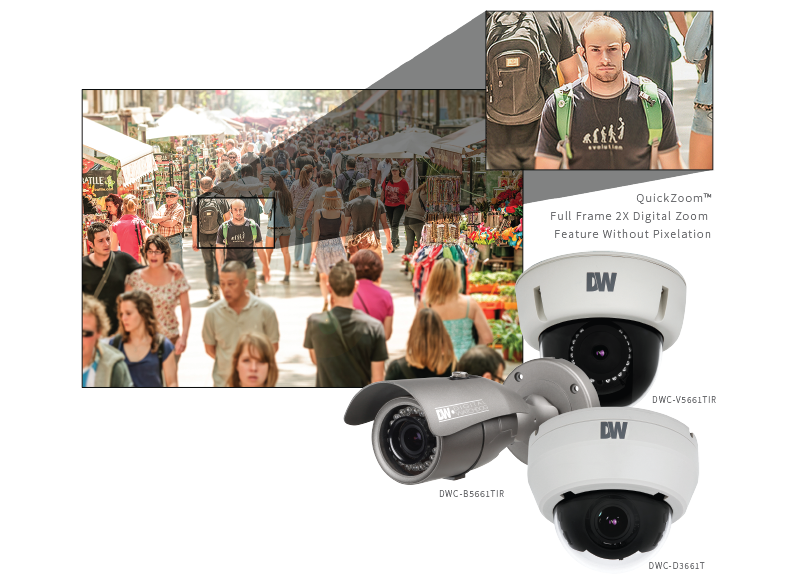 DW®’s Star-Light MPA technology delivers the ultimate analog resolution at a reduced total implementation cost by utilizing a 1/3 Megapixel Sony CMOS Sensor. 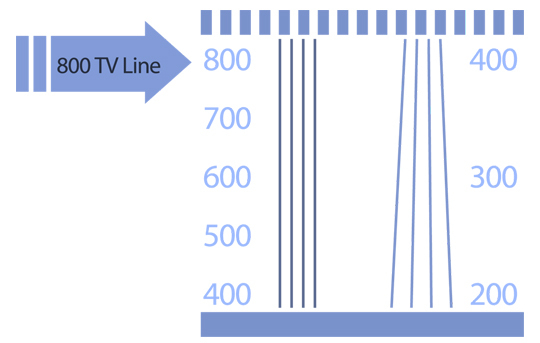 By utilizing a megapixel sensor, the imager captures and processes the Field of View (FoV) in a megapixel resolution, allowing the camera to output up to 800 TV Line images in color and 820 TV Lines in B/W. The cameras support quick digital zoom without any detail loss. Thanks to the analog megapixel technology, the camera is able to preserve the same number of pixels even in digital zoom, offering the clearest details even in zoom mode. The cameras offer four separate motion detection zones that can be individually configured based on the camera’s view. When motion is detected, the camera can zoom into the motion area, trace and predict the motion’s movement, or trigger an alarm output. 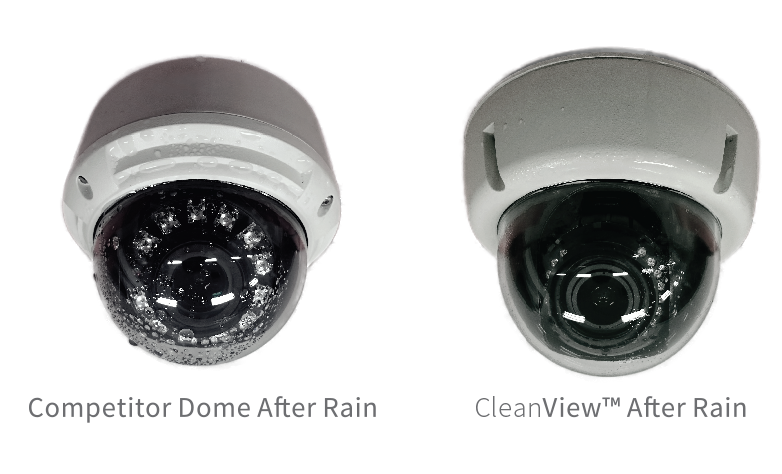 De-Fog™ enables the camera to function and produce clear images even in scenes obscured by fog or strong weather conditions. 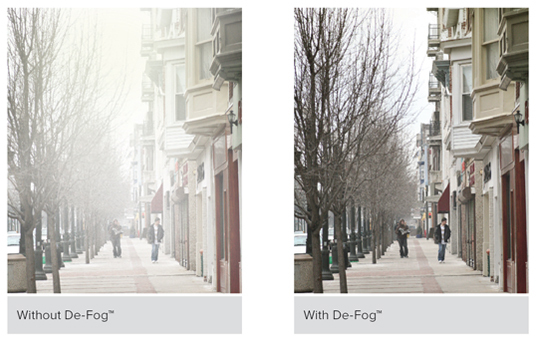 When weather conditions such as fog or smog interfere with the camera’s field of view, the De-Fog image enhancement feature utilizes special enhancement algorithms to visibly improve image quality and reveal details and clarity. 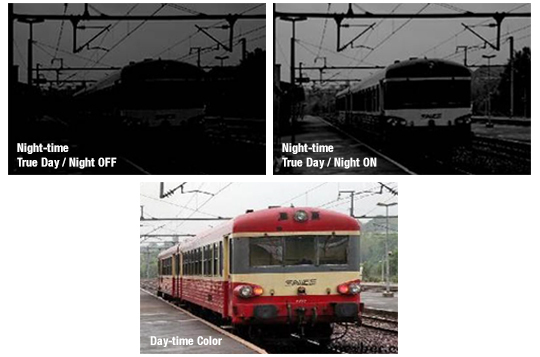 The HME technology detects and masks any strong spots of light to produce a clear image of any environment. HME is particularly effective for reading license plates of cars in streets or parking lots at night.